We awoke bright and early and got ready but had to wait for around half an hour until we were picked up. The bus took us to a remote hillside where we waited for another hour. 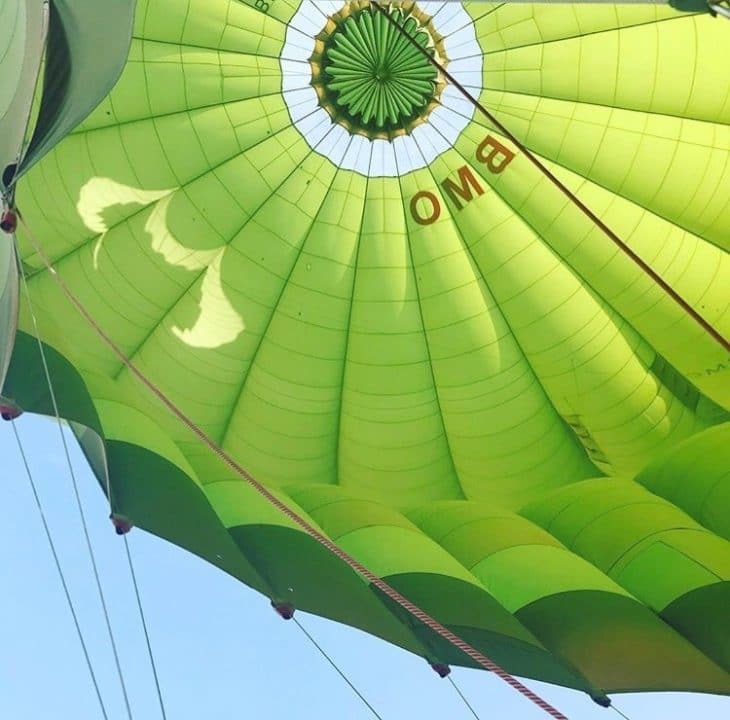 We were told they were waiting for a report from the Turkish aviation society as it was potentially too windy to go up. Eventually, however, they started to unpack the balloons and fill them with air. Once ready we climbed in and the operator fired the flames to lift us off the ground. 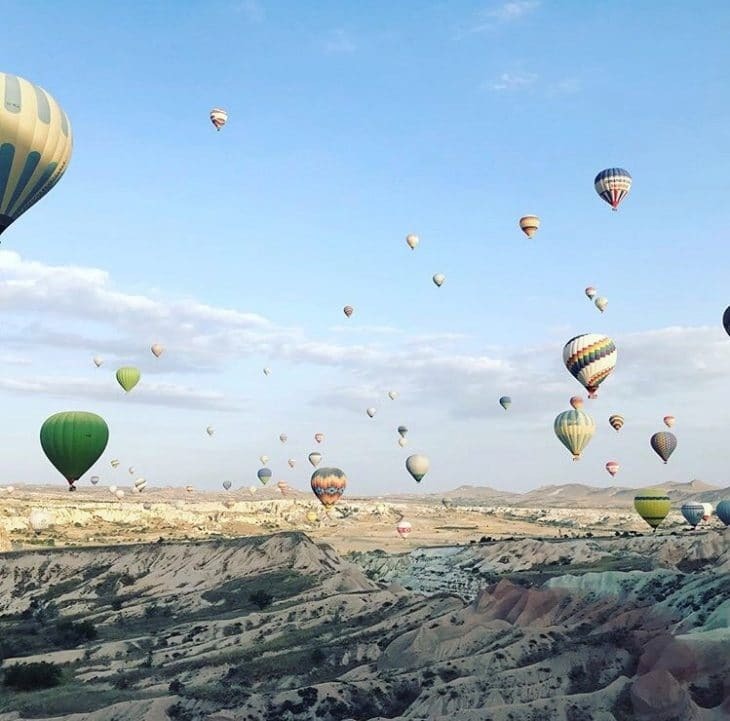 We reached a maximum height of 800 metres and it really was a sight it behold to witness hundreds of hot air balloons across this amazing scenery. The tour lasted for around an hour and then we came in for landing. We were all impressed with how the operator managed to land the basket right on top of the trailer behind the tow truck. The basket was then strapped down and we were surprised when the truck then began to drive whilst we were all still stood in the basket and the balloons still fully inflated. We eventually climbed out in a field on top of some unsuspecting garments crops. We were then all given certificates and a champagne glass full of fizzy apple juice to celebrate our accomplishment. Once all the excitement was over we headed to the local mechanics where we had left our car for a day so that it could be fitted with a sump guard and petrol guard in anticipation for the rough roads in Mongolia. Our travelling companions, who had done the same, were not so lucky as they were informed they needed a new clutch. This resulted in a few hours eating around which delayed our departure. We eventually got all the parts we required, grabbed breakfast and set off at around 1pm. We planned to do a lot of driving that day as we wanted to get to Georgia as quickly as possible and there was still a lot of turkey still to do. We eventually made it to a town which was a ski resort on the winter. We drove up to the top of the mountain where it was quiet and pitched tents there for the night. Giveacar is the UK’s first car donation scheme, we have won several awards and now support over 1,600 charities with the money raised from old cars. Using a nationwide network of breakers yards and salvage partners, we have handled the auction and disposal of over 35,000 vehicles so we know how to raise the best donation possible whether your car is in perfect condition or not. The Lamphey Lads are raising funds for Cool Earth and World at Play. If you need to get rid of an old car and would like to do some good at the same time, give us a call!